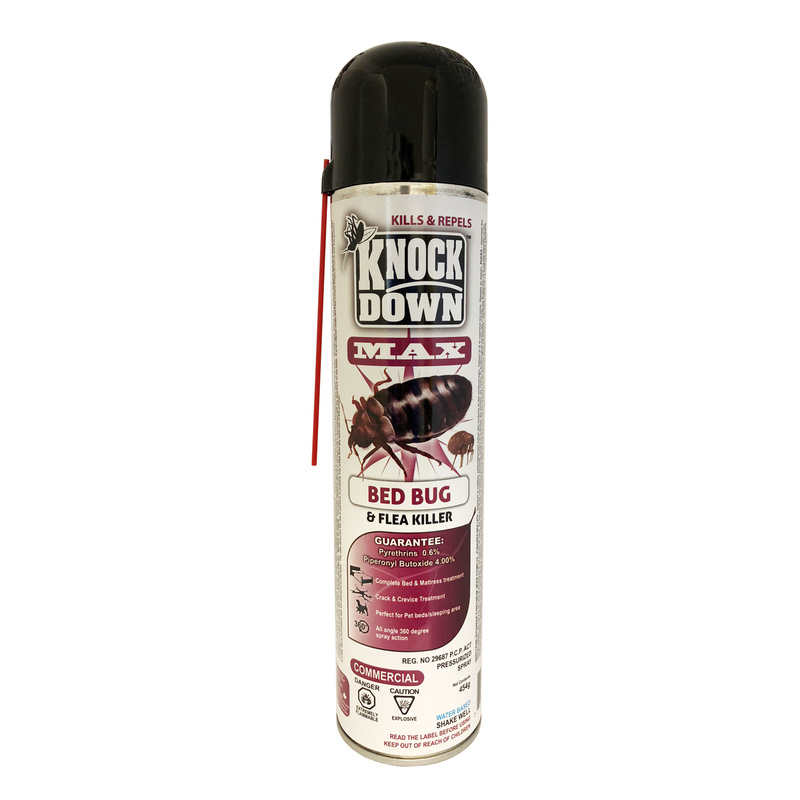 KD242C – KNOCK DOWN – MAX BED BUG KILLER – COMMERCIAL – KUUS Inc.
SKU: KD242C Categories: Knock Down, Commercial Products - Not for retail sale. Please inquire. BED BUGS: Spray Mattress, particularly around seams and tufts. Take bed apart, spray joints. Repeat as required. FLEAS: Spray infested areas such as pet’s bed and resting quarters, nearby cracks and crevices, along and behind baseboards, windows and door frames, and localized areas of floor and floor covering where these pests may be present. Remove old bedding after treatment. Insects must be contacted to be killed. Do not treat animals with this product.